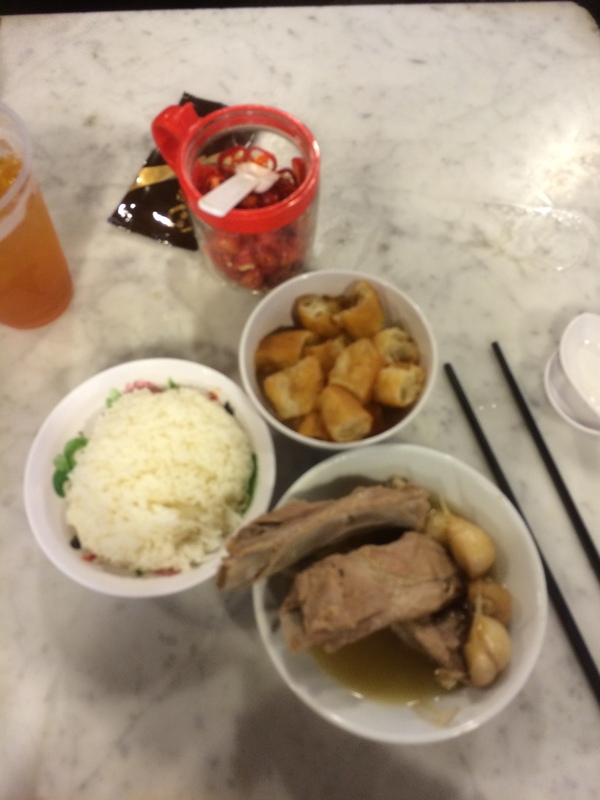 A couple years back I tried to sample the bak kut teh at Song Fa in Clarke Quay, but was stymied. Yesterday, success. Like Ng Ah Sio, Song Fa features an intensely peppery and garlicky broth, so steaming hot as to make a clear picture impossible. 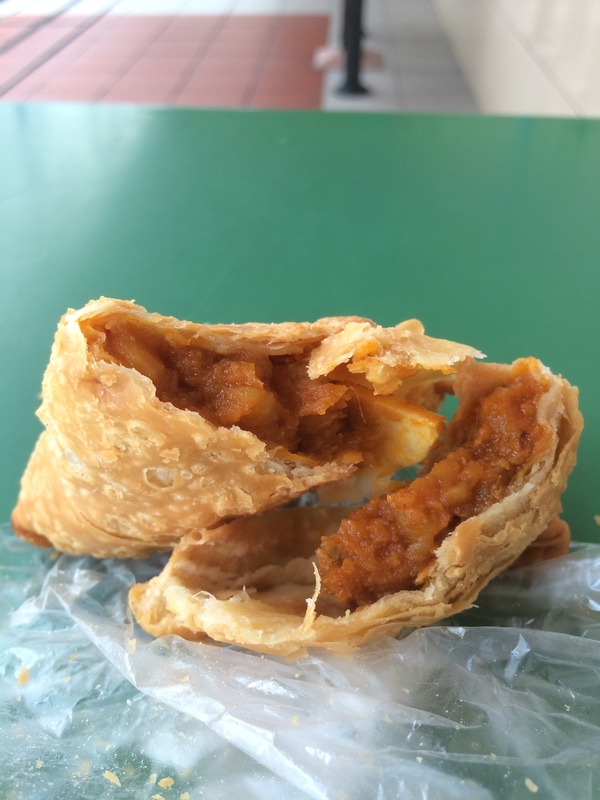 For dessert, I wandered over to Maxwell Food Centre (where I first had fish head curry over a decade ago) for the potato-egg curry puffs from Tanglin Crispy Curry Puff. Outstanding.